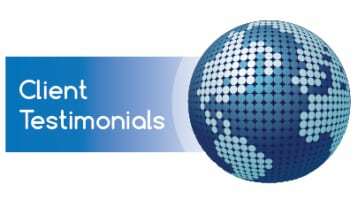 You are here: Home / Drug Testing / The Highest Marijuana Positivity Rates in the Country Are…. The Highest Marijuana Positivity Rates in the Country Are…. 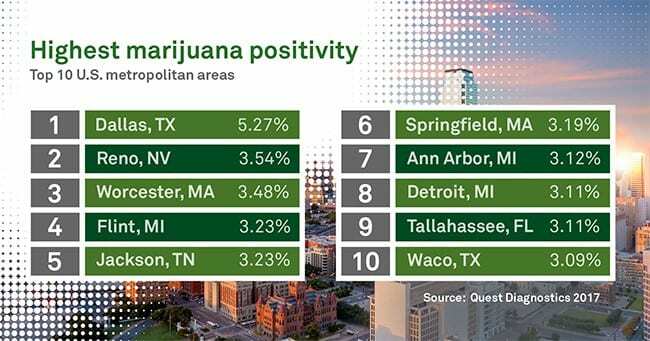 However, data from Quest Diagnostics shows that the states with the highest positivity rates do not necessarily contain the cities or metropolitan areas with the highest marijuana positivity. Given these results, the stereotype of marijuana-use as solely a “big city” problem is inaccurate. With the rate of positive workforce tests continuing to rise, and with pockets of higher positivity throughout the U.S., it is even more important for employers to be aware. Employer drug testing programs continue to be an important part of maintaining a safe, productive and drug-free workplace whether your business is located in metropolitan areas or non-metropolitan areas. Highest marijuana positivity by metropolitan area.